Whatever ball sport you play, it’s crucial to practice with a good trainer. And with the right sports training equipment, you can practice anywhere. Build muscle memory. Get instant feedback to improve your game. Goalrilla™ makes the toughest sports trainers on the planet—so you can push yourself to the limit without worrying about the limits of your sports equipment. With the most durable materials and proven engineering, these trainers give you the authentic training experience you need to up your game. Ready to blow the competition out of the water? Looking for a pitch back or rebounder goal? The G Trainer is the solution! 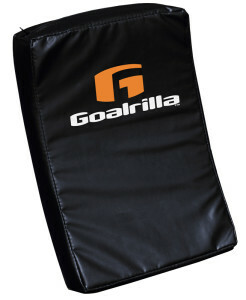 The Goalrilla G Trainer’s dampening/goal side is only half of the G Trainer story. But, this side of the G Trainer is a leap in sports training equipment. You can fill a stadium with all of the different hitting aids and practice goals that exist in the sports training world. The G Trainer can take the place of all of them. Want to see the G Trainer dampening/goal side in action with your sport? Click on the sports below to see how the dampening/goal side can work for your sport’s training program. 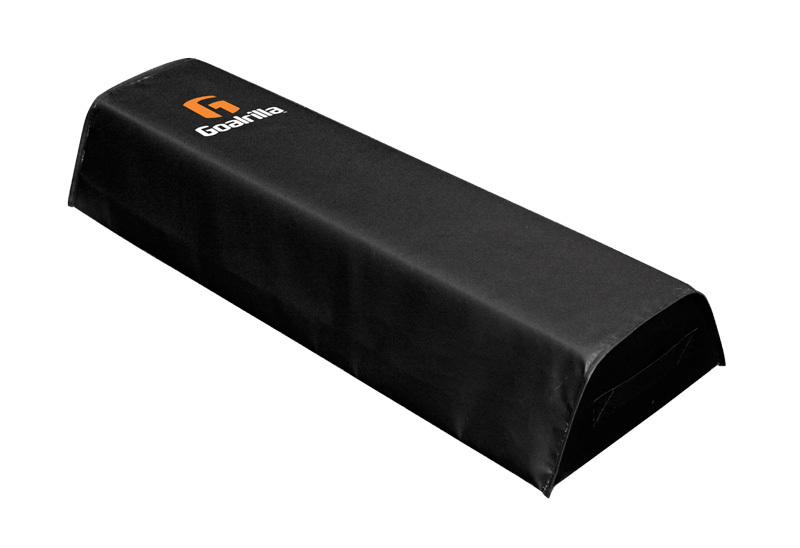 The Goalrilla G Trainer dampening sports net was designed, tested and proven to dampen the forces from multiple sports balls. 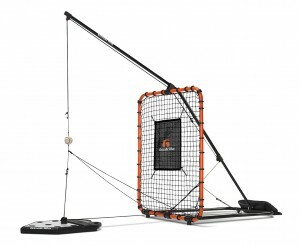 This makes the G Trainer one of the most versatile hitting aids. 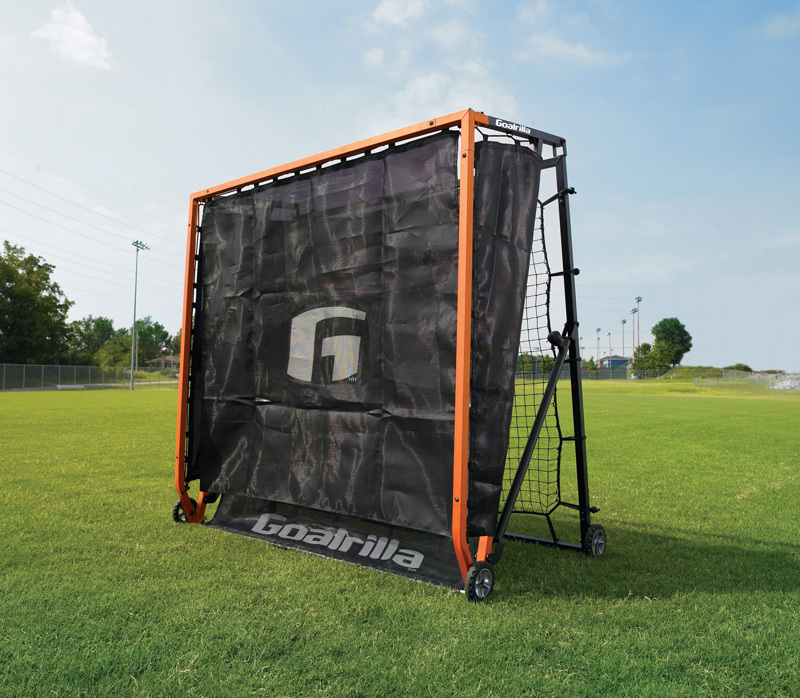 The Goalrilla G Trainer dampening sports net was built to train and handle brutal punishment from golf drives, football punts/kickoffs, lacrosse throws, softball fast pitch, soft toss baseball hitting drills – and anything else you can kick, throw or hit into it. Other hitting aids limit your training options — but this trainer was built to expand your training options. 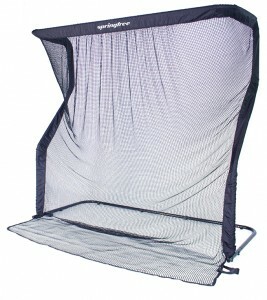 The G Trainer’s practice goal is revealed by simply folding the dampening net over the top of the trainer. 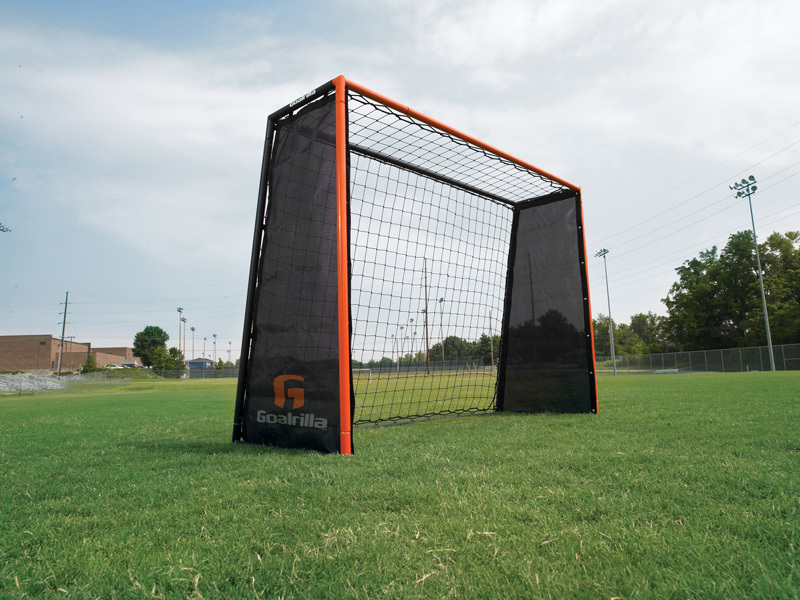 The Goalrilla G Trainer’s practice goal is a regulation-size lacrosse goal. But lacrosse is not the limit of this practice goal’s training potential. Soccer training programs can use it for precise shot-on-goal drills to hone a player’s accuracy. And this practice goal was engineered to take on the brutal forces that a soccer ball or lacrosse ball can dish out. 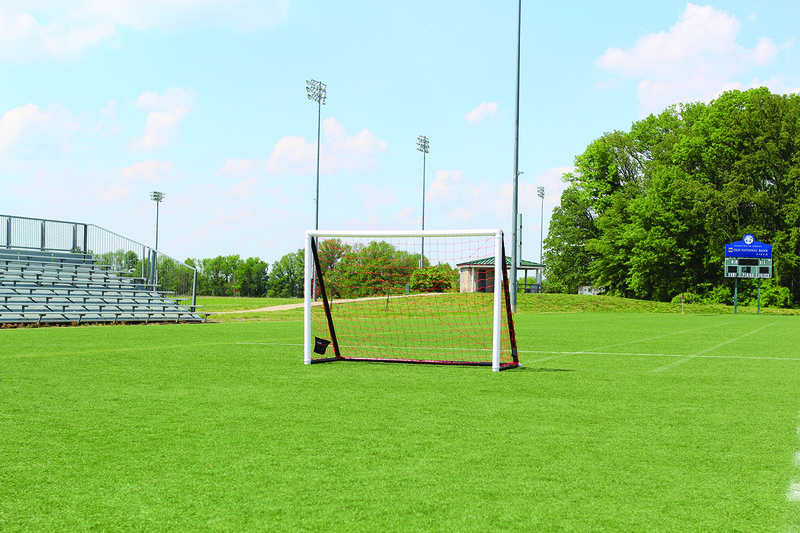 Shot after shot – the G Trainer practice goal is the toughest practice goal on the planet. The Goalrilla name has always stood for tough. 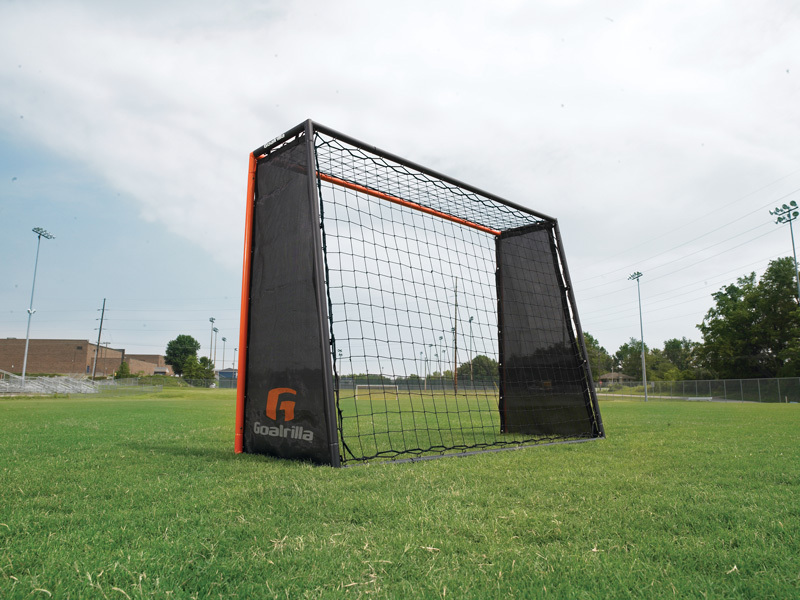 And when we developed the Goalrilla G Trainer’s rebound side, we built Goalrilla tough into every square inch of it. We knew that a pitch back and rebounder goal designed for training multiple sports throughout multiple seasons had to be built tough. The 6′ x 6′ quick-attached/detach rebounding net can handle anything that can be kicked or thrown at it. Want to see the Goalrilla G Trainer rebound side in action with your sport? Click on the sports below to see how the rebound side can work for your sport’s training program. Versatility is at the heart of the Goalrilla G Trainer’s rebound side. This pitch back and rebounder goal is designed to be set at 5 different angles. That means there are endless training possibilities with the Goalrilla G Trainer rebound side. 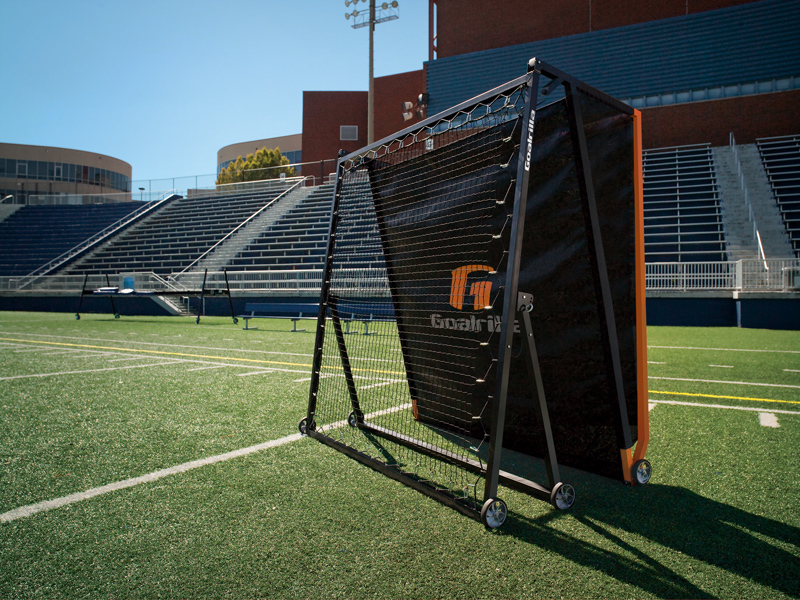 The Goalrilla G Trainer rebound side allows you to make small adjustments to change with your drills – instead of having to pull out another piece of training equipment. The Goalrilla G Trainer adapts to your program. Throughout every season, indoors or out. It takes more to be a Goalrilla. It takes more to be here. FRAME and HARDWARE SPECS: Galvanized Steel 35mm frame topped with DuPont® powder coat for extreme rust prevention. All Hardware is coated with Black Zinc to ensure rust protection and long life. All corners are welded to ensure lasting performance. Tight slip fit connections are bolted together for an extremely rigid and quiet frame. Goal Frame is orange to provide a clear target during competitive play. Injection molded feet and rubber locking wheels help to prevent sliding under the most serious play. Trainer is extremely stable and will not topple under the most extreme play. Six, Easy rolling wheels allow for instant and easy portability. Two, rugged plastic coated steel safety straps help to ensure safe operation. NET SPECIFICATIONS: Quick-play rebound design allows for fast and easy set up. Quick-play spring clips are manufactured out of corrosion resistant aluminum. Nets, DAMPENING/GOAL SIDE: Polypropylene Goal side nets are engineered to take a beating and last through even the hardest hits and throws. Nets, REBOUND SIDE: 3mm thick Polyethylene rebound net to provide great rebound for long durations. Quick-play, 1/4″ bungee cord supports the rebound net, allowing for consistent rebound and easy setup. OPTIMIZE YOUR PERFORMANCE WITH ONE PIECE OF SPORTS EQUIPMENT. 5′ x 5′ – Engineered for residential and high school use. One piece of sports training equipment handles the training demands of several sports. ULTRA-RESPONSIVE BALL RETURN INCREASES DRILL SPEED FOR MULTIPLE SPORTS. If there’s a ball involved, there’s a training opportunity with the All Season Trainer. Use as a heavy-duty pitch back for baseball or softball. Easily change the angle to one of 7 set-ups to practice ground balls, line drives or fly balls. It’s a high-performance soccer rebounder goal for drills, including passing, kicking, receiving, heading, trapping, goal tending, throw-ins and roll-ins. Use as a basketball return and integrate it into endless drill combinations. As a Lacrosse wall rebounder, to practice passing, catching and high-repetition conditioning — develop a quick stick for passing and shooting. ABSORB AND STOP DRIVES, KICKS, PASSES, LINE DRIVES, PITCHES and SHOTS ON GOAL. Raise the net and use it as a practice goal. The All-Season Trainer lives up to its name. The dampening net was designed, tested and proven to dampen and absorb the impact multiple sports balls. 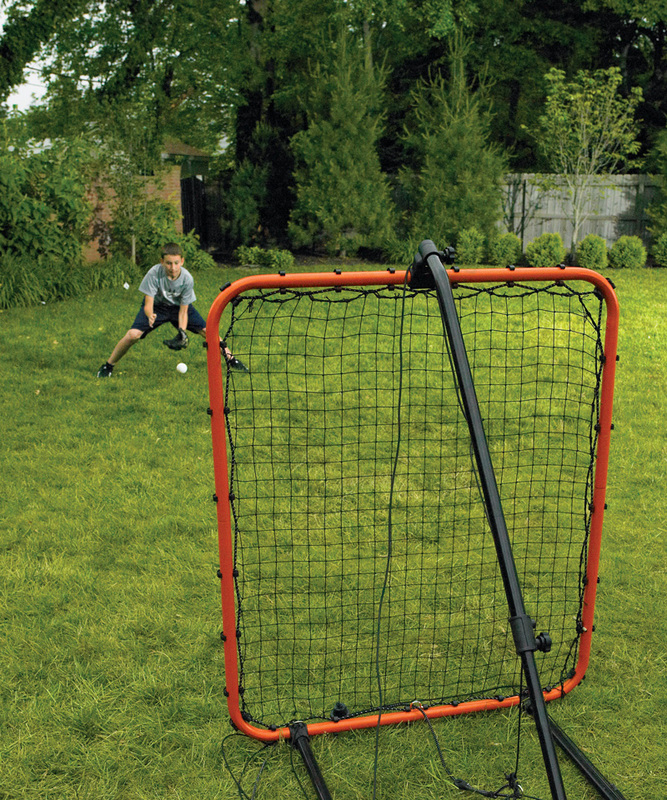 The rugged net can be used as baseball and softball pitching target, soccer practice net, football pass net, lacrosse throw net, and as a batting trainer for soft toss or tee training in softball or baseball. 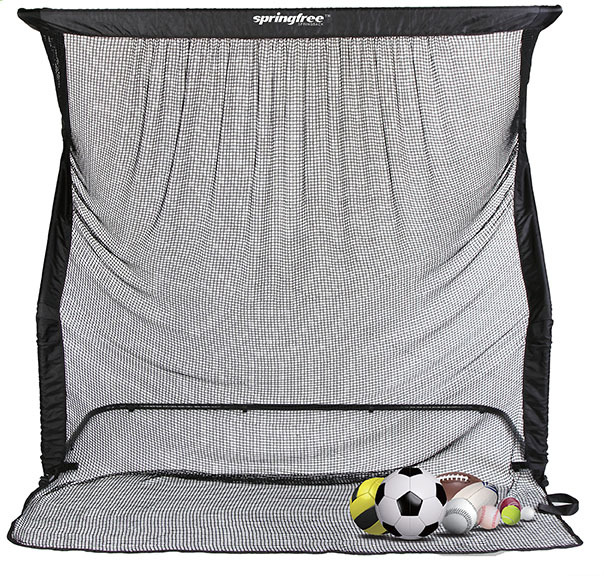 Raise the dampening net and a second durable fabric surface allows the All-Season trainer to be used as a practice goal for soccer and lacrosse. The rugged dampening net absorbs and stops drives, kicks, passes, line drives, pitches and shots on the goal. The versatile 7-position rebound net means if there’s a ball involved, there’s a training opportunity. Easily roll the All Season Trainer onto the field or court, quickly adjust angle for a high or low ball return. The ultra-responsive ball return delivers quick training drill repetition. It also has all the toughness of any Goalrilla sports trainer. Just like the rest of the Goalrilla line, the All Season Trainer is built to withstand the punishment of rough play and the harshness of elements throughout the year. The Goalrilla Spring Trainer can weather the elements and deliver the performance you need for baseball training all year long – indoors or out. The Goalrilla Spring Trainer™ lets you focus on your defensive skills too. Hitting is only half the game. When you’re done perfecting your swing on the Goalrilla Spring Trainer, hone your defensive skills on the pitch back. In just a few simple steps, you can easily go from hitting balls up the middle… to fielding ground balls, snagging line drives, and catching fly balls. You won’t find a more versatile portable baseball trainer anywhere – which is why the Goalrilla Spring Trainer is perfect for traveling ball teams. The Spring Trainer can be used prior to, during and after games to hone your skills – making those long weekend tournaments that much more enjoyable. The most efficient and effective baseball trainer available. The Spring Trainer has The Power to Change Your Game. Durable bungee system holds ball in place. Quick reset within 4 seconds after every hit. 100 – 150 swings in 10 minutes. More reps in less time. Practice hitting any conceivable pitch. Adjust height of the ball. Adjust to middle, inside, or outside pitch – 10 different plate locations. Change plate angle to practice hitting to different areas of the field. Train year round, indoors and outdoors. Acts as personal swing coach – helps correct swing based upon instant feedback. Coach or parent can watch swing from different angles. Eliminates having to pitch or retrieve balls. Net allows for safe outdoor or indoor training. Portable – perfect for traveling teams. The Springfree Springback is versatile and perfect for almost any sport. Announcing the newest multi-sport training net on the market, Springback! It’s versatile — making it perfect for almost any sport. It’s responsive — the unique sewing pattern returns the ball every time. Quick and easy set-up — only takes 5 minutes. Great for indoor and outdoor use and comes with a handy, carrying bag. Announcing the newest multi-sport training net on the market, Springback! It’s versatile; making it perfect for almost any sport. It’s responsive; the unique sewing pattern returns the ball every time. Quick and easy set-up; only takes 5 minutes. Great for indoor and outdoor use and comes with handy, carrying bag. 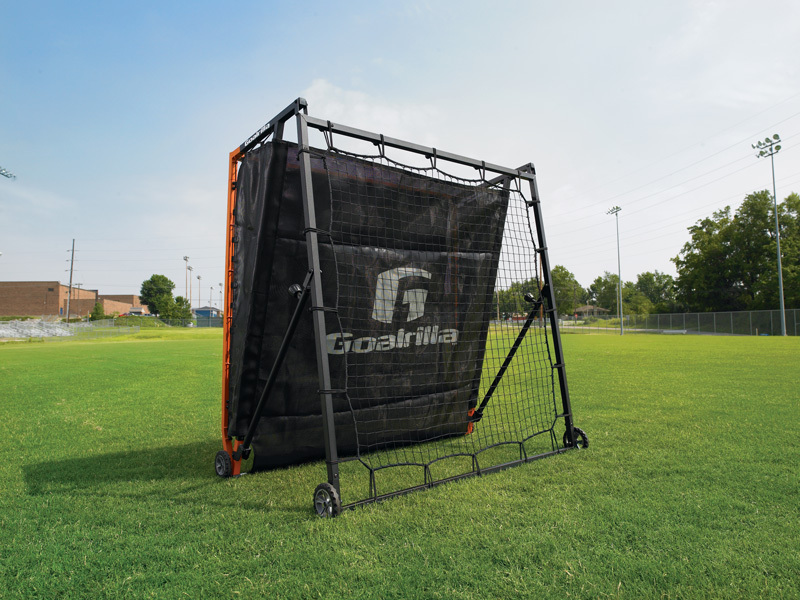 TTHE GOALRILLA STRIKER TRAINER The Goalrilla Striker Trainer is a perfect soccer rebounder for essential soccer skills training. Improve your abilities at passing, kicking, receiving and heading. You can also count on this soccer rebounder when you need to work on your trapping, goal tending, throw ins and roll ins. The responsive net increases drill speed and improves conditioning. Durable Goalrilla construction makes it a training partner you can count on. 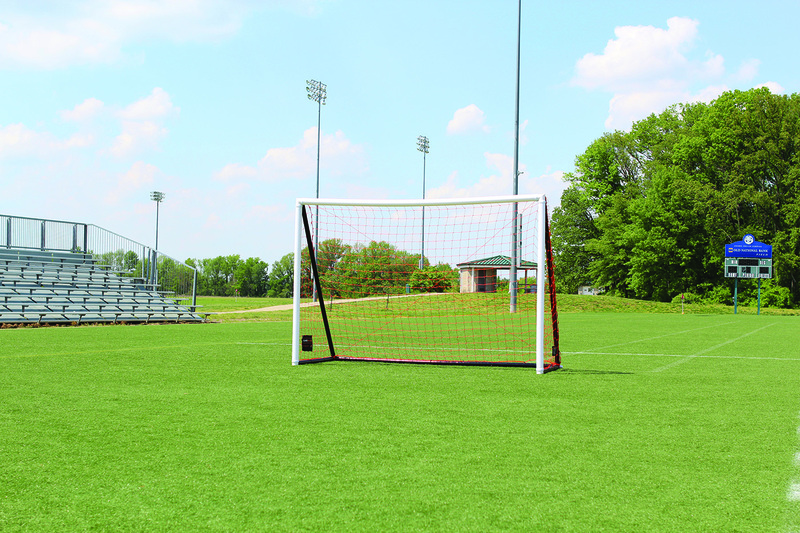 Double-sided, ultra-responsive rebounding net and soccer goal. The Goalrilla Striker Trainer is a double-sided soccer goal for strengthening your essential soccer skills and shooting and scoring potential. It’s a versatile piece of soccer training equipment with advantages for players of all ages and skill levels. 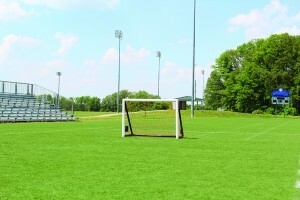 The goal side is made for shooting and scoring practice. The Striker Trainer sends the ball back instantly. You spend less time retrieving the ball, and more time training. More shots in less time. The other side is made for rebounding skills, including passing, kicking, receiving and heading. It’s also perfect for working on trapping, goal tending, throw ins and roll ins. MAXIMIZE SOCCER TRAINING WITH GOALRILLA SPECS. The Striker Trainer is built to withstand the rough treatment of shots on goal and practice kicks and passes. Incredibly tough football blocking pads, tackling pads and step-over dummies are used at high school and collegiate levels. Each high-density foam pad is covered in durable PVC material. All seams are reinforced with metal grommets. 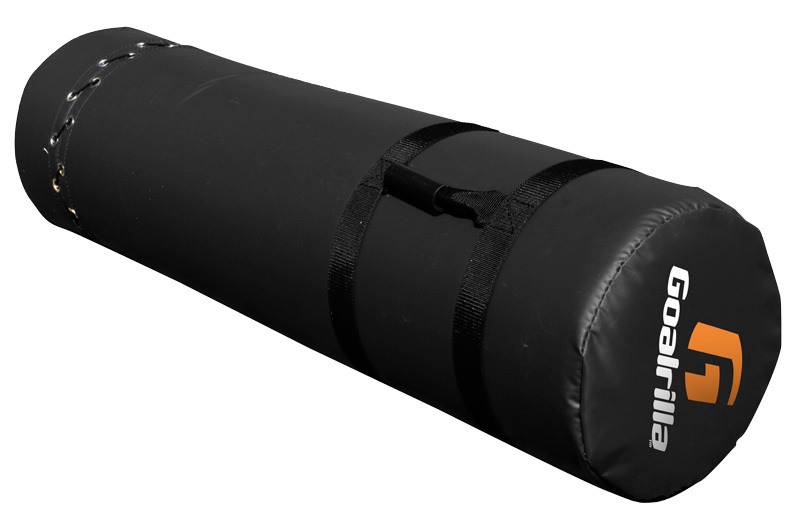 Wide reinforced straps and handles make the blocking and tackling pads easy for teammates to grip and hold on to. Introducing the NEW Goalrilla Gamemaker Goals! 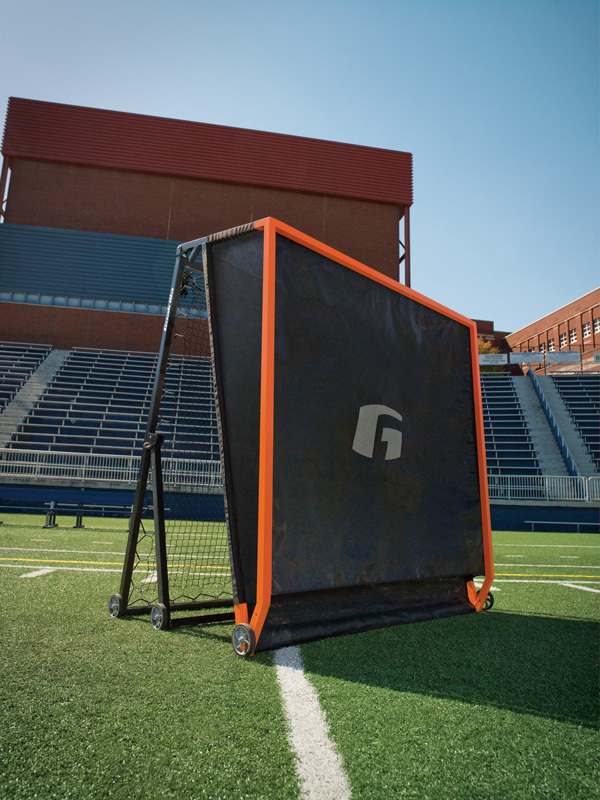 Featuring the authentic look and playability of a traditional soccer goal, the Gamemaker transportable goal travels easily from home to field to park — or anywhere your game may take you. Fortified by BaroForce technology, the soft, flexible PVC tubes are air-pressurized creating a rigid goal structure that provides performance similar to a conventional goal but is pliable enough to be completely safe in the event of goal post related collisions or goal tipping incidents. Offering the look and playability of a traditional soccer goal, the Gamemaker 4×6 inflatable goal is the ideal choice for 3v3 tournament play as well as backyard practice. 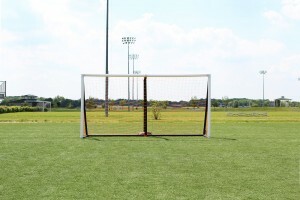 The 5×8 Gamemaker goal is an excellent starter goal with a variety of uses: a match play goal for the U5’s & U6’s, a training goal for the U9’s to U11’s and a backyard practice goal for players of all ages and abilities. The Gamemaker Futsal goal delivers the bona fide look and feel of a regulation 2 Meter x 3 Meter Futsal but unlike other goals it goes up and comes down in minutes and is safe for a high speed game played in tight spaces. 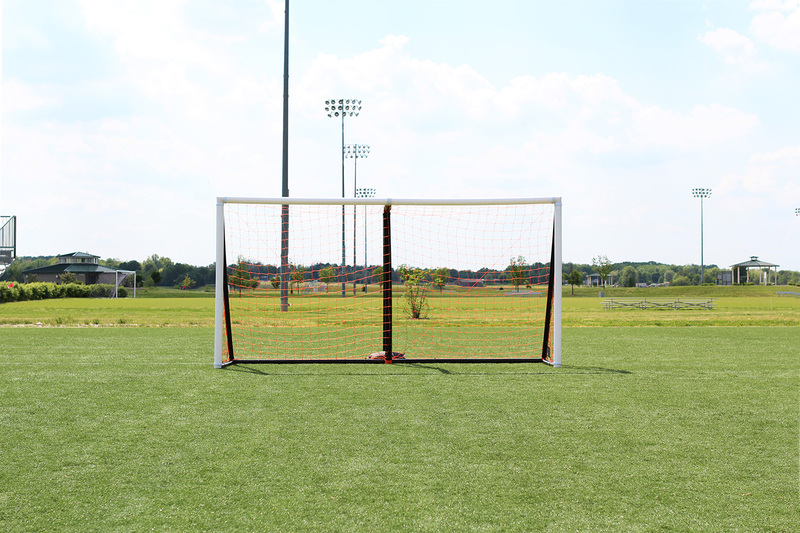 The easy to use, easy to transport and safe Gamemaker 6×12 goal features the authentic design and performance of a traditional soccer goal. With its two-way pump system, products using BAROFORCE™ can inflate to their maximum pressure of 15 lbs PSI within minutes, making them ready to go whenever you are ready. Monday & Thursday: 10 a.m. - 7 p.m.
Tuesday, Wednesday, & Friday: 10 a.m. - 5 p.m.
*Dates closed in 2019: January 1, April 21, May 27, June 29, July 4, September 2, November 28, and December 24-25.